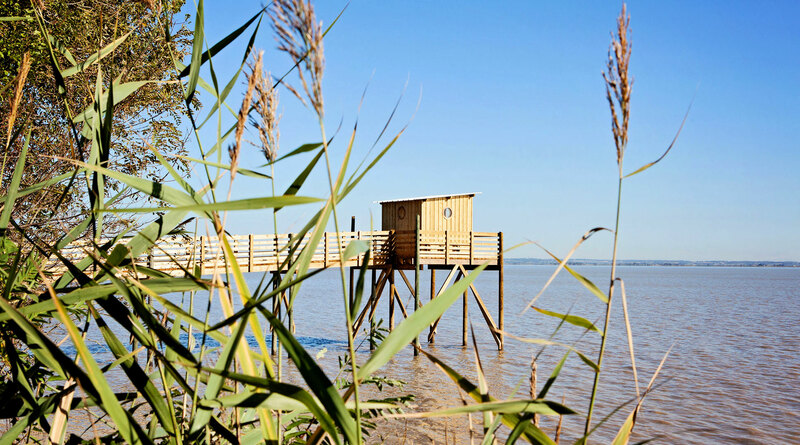 Five kilometres north of Pauillac in Saint-Estèphe, the northernmost appellation in the Médoc, Château Montrose is situated on a very well-drained and ideally exposed gravelly outcrop which runs for over a kilometre along the Gironde estuary. The presence of a broad estuary, the largest in Europe, has a decisive effect on the local microclimate. 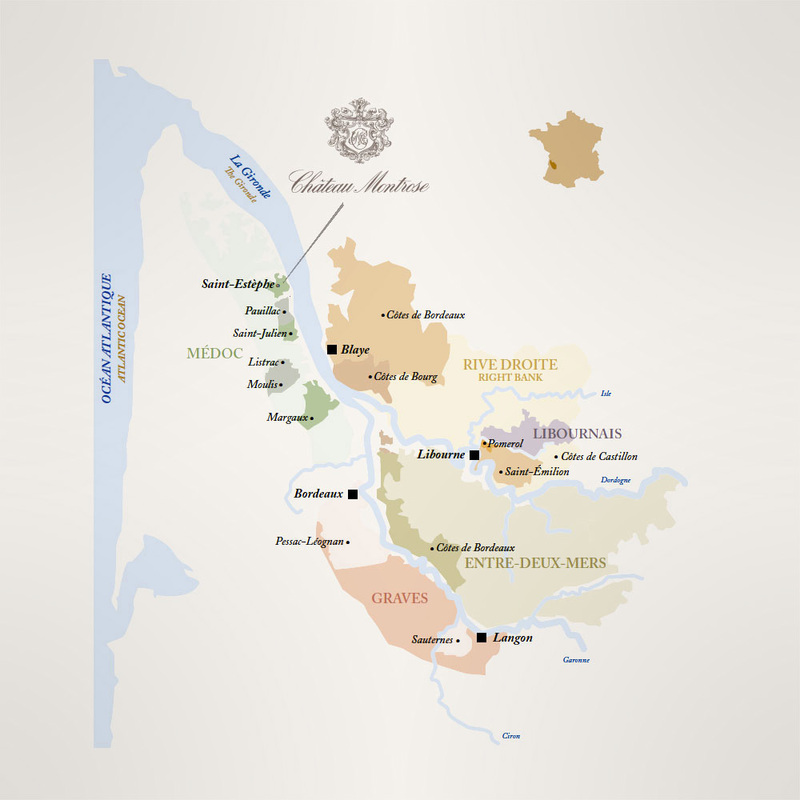 Montrose is one of the few estates to enjoy such a highly privileged situation. and it tempers the destructive effect of heatwaves which starve the vines and grapes of water in the height of summer. That is why the Montrose vineyard escaped the frost in 1991 and the development of botrytis during the 2013 harvest. Montrose’s situation, on an outcrop overlooking the estuary, is precious to the vineyard because of its exposure to wind and sun. The rows of vines are planted north-south, enabling the grapes to take full advantage of the sun throughout the day. The dominant north-west winds dispel excessive humidity when it rains.